What’s the worst part about Halloween? That’s a trick question. There are no bad parts of Halloween, only good parts and better parts! 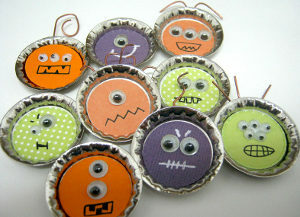 Halloween is a crafter’s paradise, bursting with reasons to start fun new projects. 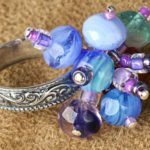 In fact, there are so many crafting opportunities that the biggest difficulty can be narrowing down the field. Thankfully, AllFreeSewing stepped up to the plate this year to round up the Complete Crafty Guide to Halloween, featuring the very best of Halloween crafts! 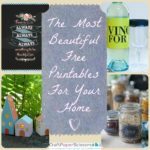 This guide has everything: Halloween recipes, DIY home decor, homemade costume ideas … if a project is awesome, crafty, and Halloween-themed, it’s here. The best part of Halloween trick-or-treating is dumping your haul on the kitchen floor when you get home and gorging yourself on sugary goodness. 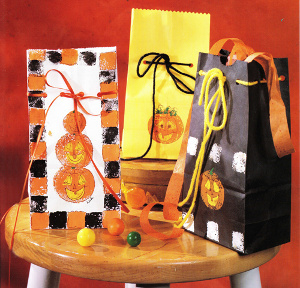 This year, help your kids trick-or-treat in true style, with one of these awesome homemade trick-or-treat bags! 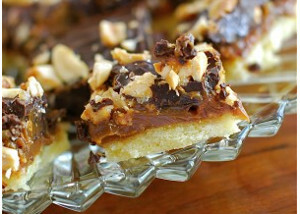 Then impress all the neighbors’ children by handing out incredible homemade peanut butter cups. Pumpkins are everybody’s favorite part of fall. 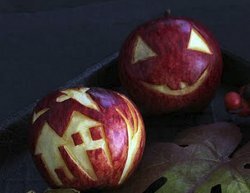 They look good, they taste good, and they make for some seriously fun carving. 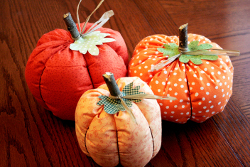 Add a little pumpkin spice to your Halloween decorations with one of these unique pumpkin sewing patterns. 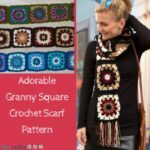 Whether you opt for the Fantastic Fall Pumpkin or the Pumpkin Wall Hanging, your house will be ready for the season. 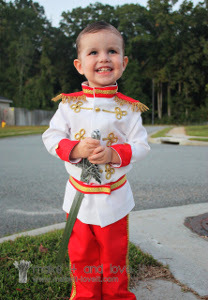 There’s nothing more charming than a little prince. This collection of homemade Halloween costumes will give your kid an adorable edge over his or her fellow trick-or-treaters. 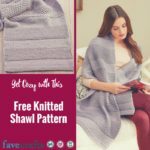 Whether they want to get gussied up like a Disney Princess or are prepared to scare as one of the recently risen dead, like a mummy or a ghost, you’ll be able to find plenty of easy sewing patterns in the Complete Crafty Guide that cater to their Halloween whims. 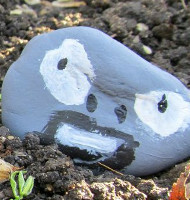 Dare to scare the neighborhood…with your craftiness! 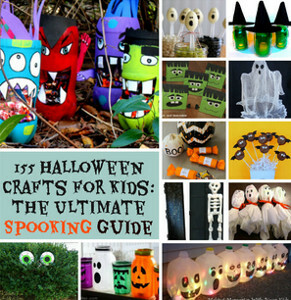 You might think 155 Halloween Crafts for Kids is a trick, but you’re in for a treat. 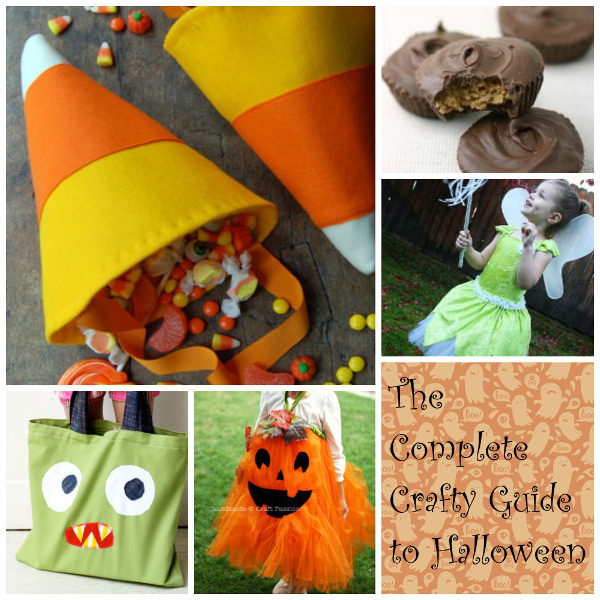 From easy Halloween decorations to the coolest homemade Halloween costumes to sweet and spooky kids’ Halloween recipes, the Ultimate Kids Halloween Crafts Guide from AllFreeKidsCrafts has every awesome kids’ Halloween idea you could possibly ask for. 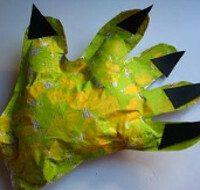 You won’t want to miss a single one of these incredible Halloween kids’ crafts! 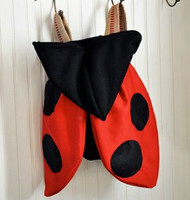 This comprehensive list is your one-stop shop for kids’ Halloween crafts. From age one to eighteen, we’ve got Halloween craft ideas for everyone, sorted by age for your convenience. 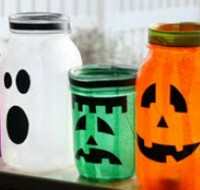 Young ones will love this Goofy Little Monster, and preteens will have a blast making these Lively Halloween Lanterns. 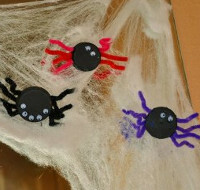 The whole family will love making these Halloween crafts for kids together. Whether your kids want to be a strong superhero, a ferocious jungle beast, or a pretty princess, there’s a costume on this list for them. Your kids will love making and wearing these fun and easy kids’ Halloween costumes, and their friends will never believe their awesome costume is homemade, not store-bought. 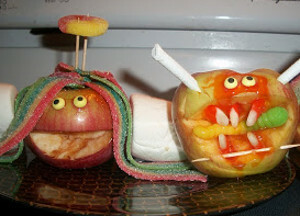 And of course, you’ll love helping your kids achieve their creative Halloween vision. Try tiptoeing through trick-or-treating with the Lucky Ladybug Costume, or battle on the high seas with these Scurvy Pirate Outfits and Swords! 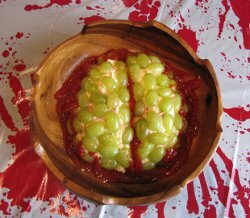 These Halloween treat ideas are so cool, you’ll want to make them every year. 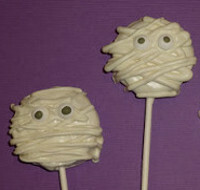 Edible Halloween crafts for kids are tons of eerie fun, whether you try making Monster Snot or Yummy Mummy Oreo Pops. 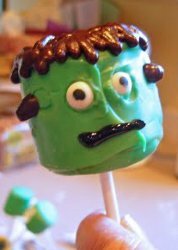 These creepy treats are easy kids’ Halloween recipes that only look spooky; they taste delicious! 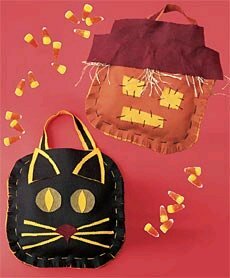 Save the trip to the store for grabbing trick-or-treat candy; these silly Halloween kids’ crafts can be made with materials you already have! 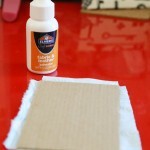 From painting projects to paper crafts to Halloween food ideas, you can find tons of budget-friendly kids’ Halloween crafts. 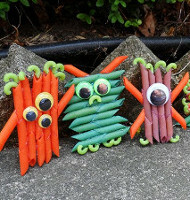 Try a quick craft like Creepy Bottle Cap Spiders, or play with your food and make these Macaroni Monster Mates. 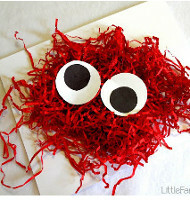 These creepy crafts will really get you into the spooky spirit! Do It Yourself Halloween decorations are so much fun to make as a family. 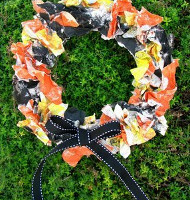 Make a Rumpled Halloween Wreath for a festive front door decoration, or make an eerie battle scene in your garden with the Plants vs. Zombies Stones. 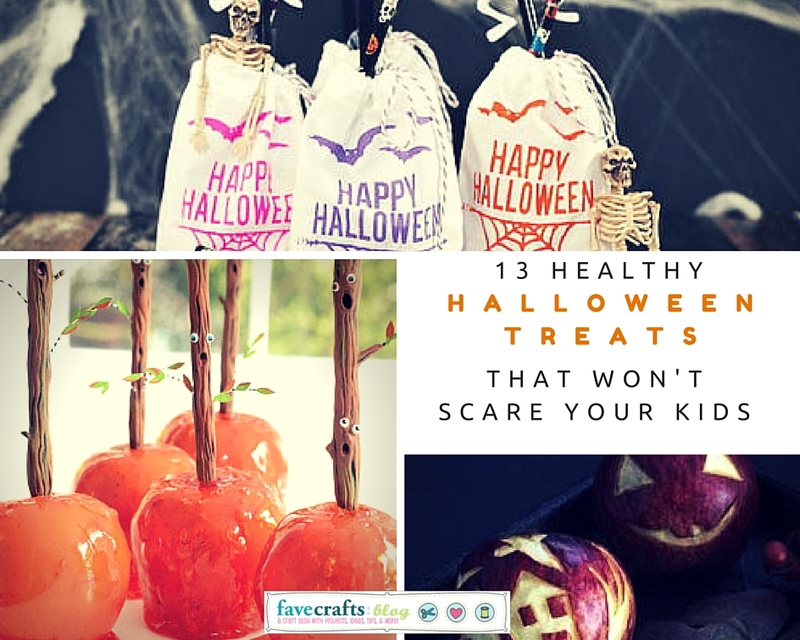 There’s a ton of frightful Halloween fun packed into this list of Halloween crafts for kids, from trick-or-treat bags to fun Halloween recipes, so don’t miss out! 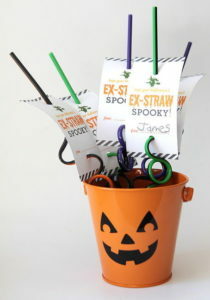 Trick-or-treating is always a great time, but why not have even more festive fun by throwing a party? 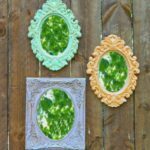 You’ll find all the decorative Halloween craft ideas you need for your party with this list of Halloween Party Ideas, from Three-Dimensional Monster Hands to Spooky Symmetry Ghosts. 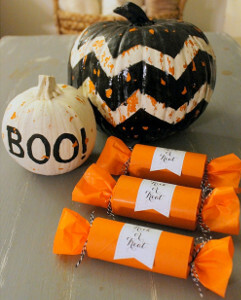 Your kids will love these easy Halloween crafts. 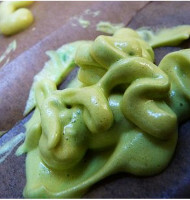 Don’t forget to try Magic Potion Making to really get the party started! 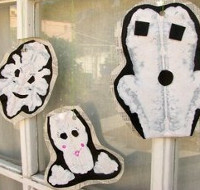 Do you remember the first Halloween craft you made? What was it? 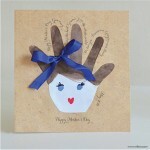 The autumn holidays will be here before you know it which is why AllFreeHolidayCrafts.com is bringing you these recipes for Halloween. While every holiday looks festive, with costumes and decorations and all the cheer on TV, there’s nothing more important than the food. 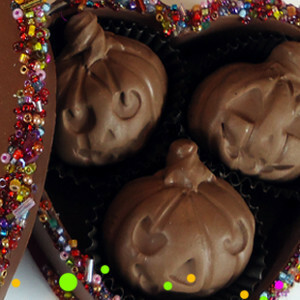 Make sure that this year’s Halloween is the most delicious yet. 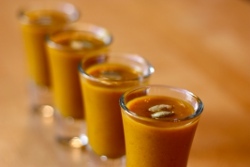 From savory, to sweet, to something to sip on, we’ve got a recipe that will have you smackin’ your lips. 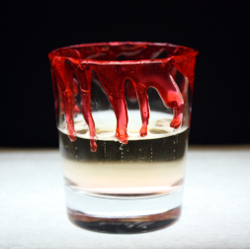 If you have a thirst like that of a vampire these Halloween drink recipes are perfect for you. Not only are they delicious and refreshing, they celebrate the blood-sucking scariness of the holiday. Sink your teeth into something spooky with these savory Halloween snacks. Don’t be afraid to try these recipes. 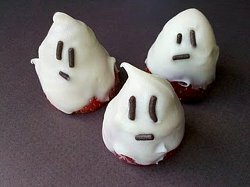 They taste good and they add an extra element to your Halloween decor. Halloween doesn’t always have to be scary. 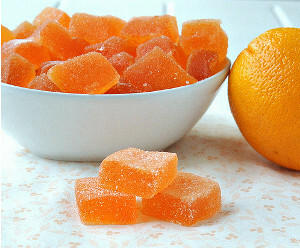 It can also be sweet! While you probably already have bags and bags of store-bought candy ready for the trick or treaters, these Halloween dessert recipes are a little more gourmet. With fruit and frosting and sprinkles, this Halloween may be the sweetest yet. 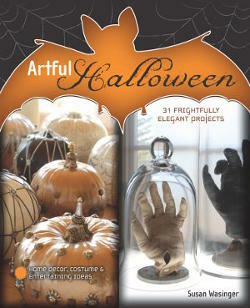 Enter to win a copy of Artful Halloween from AllFreeHolidayCrafts.com. 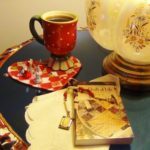 This book is chock full of DIY Halloween projects that are perfect for your next Halloween party or just to add a touch of Halloween home decor for the season. 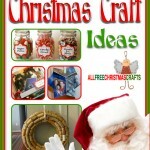 You’ll find instructions and examples for 31 handmade Halloween crafts in this book that save money and give your festivities a personal touch. You have until September 24, 2013 to enter. 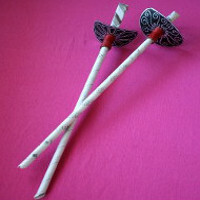 Enter to win today and you will have plenty of time to add some Halloween handmade items to your home! 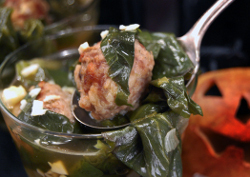 Which holiday recipe will you make a tradition?